Central to the field of ecology is the mantra that species do not exist in isolation: They assemble in communities — and within these communities, species interact. Predators hunt prey. Parasites exploit hosts. Pollinators find flowers. Yet these interactions are built on more than just serendipity, because species adapt over generations to environmental cues. But when conditions shift due to climate change, species might change markedly in response — creating “reassembled” communities that might show disrupted interactions among species. Recently, a trio of ecologists from the University of Washington witnessed such reassembly. 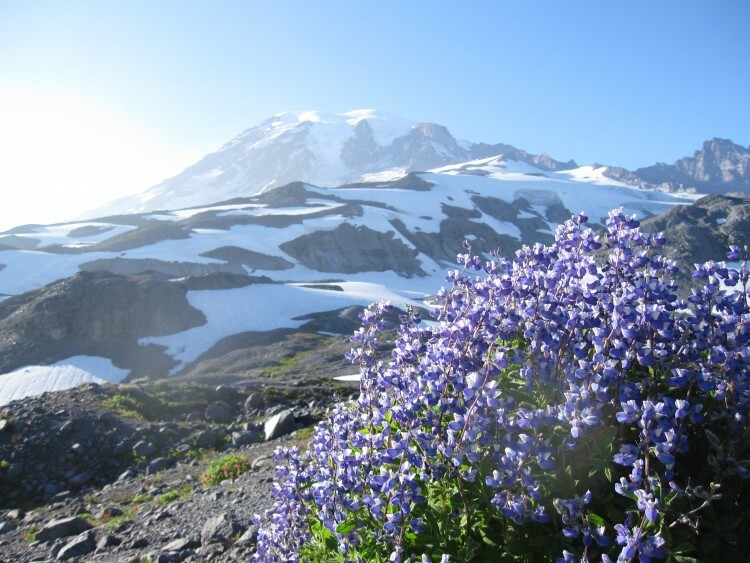 It was by accident: They were collecting data on the subalpine wildflowers that bloom each summer on the slopes of Mount Rainier, a volcano stretching 14,411 feet high (4,392 meters) in the Cascade Range of Washington state. As they report in a paper published online on Oct. 11 in the journal Ecology, an unseasonably warm, dry summer in 2015 caused reassembly among these subalpine wildflower communities. The conditions in 2015 gave the team — consisting of doctoral student Elli Theobald, doctoral student Ian Breckheimer and biology professor Janneke Hille Ris Lambers — a preview of what subalpine communities may look like by the end of this century. By then, significant climate change is expected to permanently alter environmental cues that wildflowers rely upon and make community reassembly a more common phenomenon — with unknown consequences for species interactions in those communities. Their study is one of few to demonstrate evidence for community-level reassembly among multiple species. “These reassembled communities could potentially change the interactions among wildflowers and other species in this subalpine setting,” said Theobald. 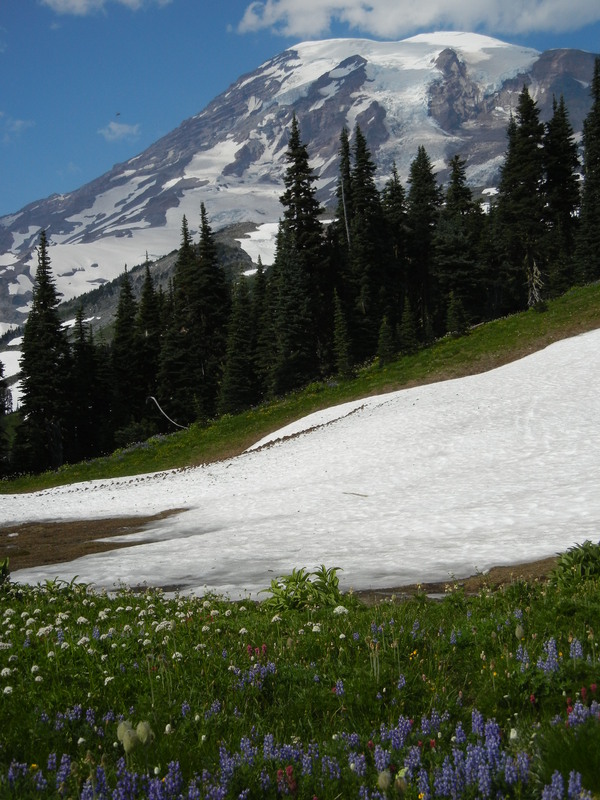 For six summers from 2010 to 2015, Theobald tracked environmental conditions and plant behavior for 48 species at 70 field plots, each one square meter, along the southern slope of Mount Rainier. The plots ranged from 1,490 to 1,901 meters in elevation. Within each plot, Theobald used sensors to record temperature, snowmelt and soil moisture content. 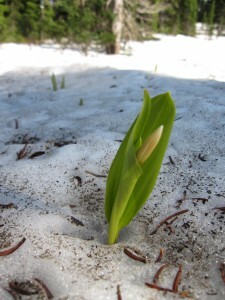 When the sensors reported that snow had melted at each plot, Theobald collected data on when plants would emerge, flower and begin to produce fruit. These included species familiar to hikers such as avalanche lily, magenta paintbrush, mountain blueberry, wild huckleberry and wild lupines. Most of these plants are perennials, which retreat underground each winter. But when snow melts, they typically have a two- to four-month window — depending on elevation and position — to grow, flower and produce fruit and seeds for the next generation before snow returns. In 2015, conditions were so warm that, on average, snow began to melt at the study plots 58 days earlier than in 2010-2014. 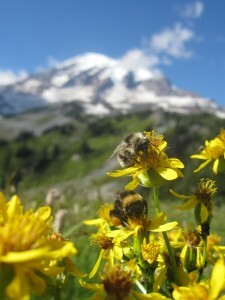 The team recorded major shifts in the bloom times of wildflower species. All of the species — 100 percent — flowered earlier in 2015 and 54 percent of species also lengthened their flower duration that year, some by as many as 15 days. The remaining species showed shorter flower duration, in one case by nearly 19 days, possibly due to accelerated soil drying, altered pollinator activity or other factors. Since species shifted in different ways, conditions in 2015 produced new patterns of reassembled wildflower communities, with unknown ecological consequences. The team saw the most dramatic signs of reassembly among plants that normally flowered early in the summer. 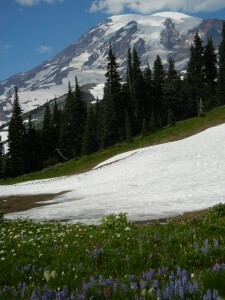 These plants tended to grow at sites experiencing less snowfall — such as plots at lower elevations, or along ridges and slopes instead of coves and valleys, where snow tends to accumulate. In addition, the plants that tended to lengthen flowering duration did so if they experienced a greater number warm, photosynthetically “productive” days in 2015. Reassembly on the scale that the researchers saw in 2015 — and that Mount Rainier may see every year by the end of this century — may change interactions among species. For example, plants could compete for access to pollinators, which at Mount Rainier include bumblebees, flies and hummingbirds. 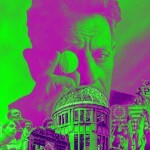 “We simply don’t yet have enough information to know who the ‘winners’ and ‘losers’ of reassembly will be, or even what ‘winning’ or ‘losing’ in such a scenario would look like,” said Theobald. To predict that, scientists must observe and test how ecological reassembly affects reproduction for all species in these regions — from flowers and pollinators, to even the bears that feed on subalpine berries. 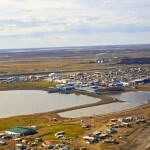 These effects will also impact the people who visit these sites and try to preserve them. The research was funded by the National Science Foundation, NASA, the University of Washington, the Mazamas and the Alpine Club. Theobald is now a postdoctoral researcher with the UW’s Biology Education Research Group. For more information, contact Theobald at ellij@uw.edu and Hille Ris Lambers at jhrl@uw.edu or (206) 543-7389. 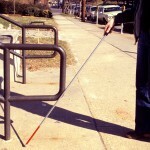 Grant numbers: DEB-1054012, DGE-1256082, NNX-14AC34G.